Jacinda Ardern, prime minister of New Zealand, is demonstrating what real leaders do in a time of crisis. The deadly attack on two mosques that left 50 people dead last week in Christchurch was a horrendous example of the rise of terrorism—specifically white supremacism—around the world. And Ardern is responding in a way that serves as a role model for real leadership. Though she has been in office less than 18 months and earned mixed reviews over how she’s handled the job overall, on crisis management, Ardern is demonstrating great leadership. The 38-year-old came into office as part of a wave of progressive, young leaders that include France’s Emmanuel Macron and Canada’s Justin Trudeau. The Jacindamania surrounding her political rise inspired New Zealand’s people to participate politically and follow her lead as citizens. “Ms. Ardern is emerging as the definitive progressive antithesis to the crowded field of right-wing strongmen like President Trump, Viktor Orban of Hungary and Narendra Modi of India, whose careers thrive on illiberal, anti-Muslim rhetoric,” wrote journalist Sushil Aaron in the New York Times op-ed Why Jacinda Ardern Matters. Her courage played out immediately by standing up to the hateful act in a way seldom seen by many of our current world leaders. She took an important stand in refusing to mention the shooter’s name and deny him the very recognition he sought from this despicable act. Surprisingly, much of the media has followed her lead. With just 5 million citizens, today nearly one in four Kiwis own a gun. That could change as early as next week when Ardern is expected to unveil proposals to reform gun laws in response to the attack. Though the country doesn’t have the equivalent of a Second Amendment protecting gun rights nor a National Rifle Association lobby for them, she is not backing down to the likely opposition she will face. In a news conference she said the attack had not happened because their country was a safe harbor for hate, or racism or extremism. She demonstrated compassion not only in her statements but in her actions, such as wearing a black scarf when she comforted families of the victims—despite the negative reaction from many Western countries regarding Muslim women’s headgear. Ardern said President Trump called to offer condolences and asked what support the United States could offer New Zealand. “Sympathy and love for all Muslim communities,” she told him. Ardern recognizes that thoughts and prayers will do her country nothing more than it does in the United States after a mass shooting. This young leader from a tiny country in the South Pacific is demonstrating the kind of courageous and compassionate leadership that is necessary in both business and politics. Will Kiwis respond by adopting gun regulations to prevent further tragedies? Will people around the world respond by demonstrating compassion and respect for those of the Muslim faith? Ardern is combating bigotry and hatred that requires more than greater gun regulation and law enforcement. She is also focusing on addressing the cultural change necessary to confront our social divisions. And this will take time and patience. Let’s demand the kind of courage and compassion Ardern is modelling from all our leaders in business and politics. Changing one’s behavior is hard and it is often necessary. This is true whether you want to become a more effective leader or help save the planet. But before you take action, you must first answer the questions: what, why and how. In my line of work as an executive coach, I help clients tweak certain behaviors that may undermine their overall effectiveness. This requires identifying what those behaviors are, why it is important to change them, and finally provide guidance on how to change them. Determining what behaviors are holding people back is often revealed through 360 feedback surveys or interviews and using cognitive assessments. Once clients understand what it is that’s holding them back, they can begin to address it. Explaining the why change is necessary is vitally important, since people often get entrenched in their behaviors and may defend them as “that’s just the way I am.” However, as Marshall Goldsmith states in the title of his best-selling book, what got you here, won’t get you there. Fully embracing why certain behaviors are hampering overall leadership is the most critical element in someone accepting and following through on implementing the change that is necessary. When I think about what’s holding back necessary behavioral change needed to tackle climate change, so much of this is wrapped around the lack of a compelling answer to why. And people need a compelling reason to change behaviors. The what question is continually answered all around us, although I fully acknowledge many skeptics remain. Perhaps a compelling answer to why will never convince some of them. However, the reason most people have not yet accepted why it’s important to act on climate change is because any discussion tends to focus on the how rather than the why. Corporations claim that the regulation necessary to reduce carbon will strangle their profitability and require higher prices on consumers. Politicians (influenced by special interests and their lobbyists) are concerned with this and, of course, any notion that it will cost jobs. Until someone is able to convincingly explain why it is important for us to act on climate change now in a way that motivates and inspires the majority of citizens, little progress will be made. This is especially challenging because, like the proverbial frog in a pot of water set to boil, we won’t see the urgency until it may be too late. Organizations that clearly articulate a why that resonates have the potential to inspire employees to give their best, customers to purchase products and services, and shareholders to invest, according to Simon Sinek in his book Start with Why. Think of companies like Apple, Southwest Airlines and Harley-Davidson—all three have a compelling why. When global citizens are presented with a compelling answer for why we should act on climate change now, we can then shift to how this can be accomplished most effectively. This how will require behavioral changes such as consuming less, recycling more, choosing clean energy alternatives over fossil fuels, holding elected politicians accountable, and many more. Of course, individual actions by citizens of the world won’t make much of a dent in the challenge of climate change until government policies and corporate actions are aligned with these efforts. But governments and corporations rely upon voters and consumers, and we as individuals can influence their actions through our votes and our consumption. When you understand what needs to change, have a compelling why it’s necessary, and see how to do it, behavioral change can happen. This is true in your growth as a leader or your help saving the planet. Verbal communication is a critical skill in every organization, yet rarely do we think beyond the speaking half of what we call communication. Fact is, listening is equally important for effective communication and it is neglected on factory floors as well as in office cubicles, meeting rooms, C-suites, and board rooms. It’s time to raise our listening intelligence. Many of us fail to provide speakers with the opportunity to fully express themselves—giving them our undivided attention so they feel heard and understood. Listening needs to be more active and more intentional to be truly effective. According to SIS International Research, 70 percent of small to mid-size businesses claim that ineffective communication is their primary problem. And a business with 100 employees spends an average downtime of 17.5 hours per week clarifying communication, which translates to an annual cost of $524,569. Listening is a huge component of this since on average we retain just 25% of what we hear due to busyness and lack of effective listening skills. Cognitive researchers have learned that individuals interpret what they hear based on habits learned over a lifetime. We can all be better listeners, yet there are no “good” or “bad” listeners, just different ways listeners interpret, value and categorize what they hear. Different people habitually listen to and for different types of information. Once you become aware of your own filters, you can then examine blind spots and start listening for and recognizing an expanded range of input. You can also watch for and speak into other people’s listening preferences to enhance overall communication. This greater awareness and ability is called Listening Intelligence. The ECHO Listening Profile identifies four styles of listening: connective, reflective, analytical, and conceptual. No one style is better than another, but we all have a preference for one over the others and each style has benefits and drawbacks. As I wrote in a previous post, connective listening filters what you hear through interests in other people, groups, processes and audiences. This type of listening demonstrates support and empathy, seeks out feelings behind the facts, and orients oneself toward others. On the flip side, these connective listeners may accept information at face value, sacrifice facts and data, and be ruled by emotions. Reflective listeners filter what they hear through their own interests and purposes. They are able to evaluate what they hear based on direct application, reflect on personal meaning, and easily discard non-useful information. On the other hand, they may miss potential applications, be overly introspective and ignore the meaning for others. The analytical listener focuses on what the interaction means to an issue or objective situation. For them it’s about results and facts. They are able to critique information for decision-making, listen for the facts beyond the emotions, and are able to control for biases and attitudes. However, they may discard information that could be useful, miss out on others’ feelings, and could shut off complete interactions. Conceptual listeners are those who focus on ideas and the big picture. Their interest is in concepts and possibilities. They are able to use the information they hear to stimulate ideas, connect ideas together, and understand multiple meanings in messages. Alternatively, they can miss the trees for the forest, lack focus on the present situation, and may read more into the message than is intended. As you can see, each listening preference has its benefits and drawbacks. Regardless of where you score, it’s important to recognize the strengths and weaknesses of this particular style. It’s equally important to recognize and understand how well those you interact with are able to listen to you. Listening intelligence will improve your ability to understand others and enhance overall communication. By focusing on listening, you will become more engaged and therefore more effective in the workplace. In the workplace as in life, accurate information enables you to make good decisions. We collect and analyze data like never before in order to determine when and who to hire, what to sell, where to invest, how to allocate resources, and many other business decisions. However, when we take opinions as facts or make assumptions rather than A/B test assumptions, we are more apt to make bad decisions. It’s astounding with all the information available to us, we are so often misled into believing false information. The internet is a great tool, but when it is used merely to reinforce our assumptions, we are using it ineffectively. Someone should develop an app that would instantly fact check our statements as we make them, so we could—at least in theory—immediately correct ourselves. This would certainly keep inaccurate information from remaining in our heads and spreading to others. In Factfulness, global health professor Hans Rosling presents 13 multiple choice fact-based questions about our world that, on average, chimpanzees score more accurately than most people around the world. This includes teachers, eminent scientists, investment bankers, corporate executives, journalists and senior political decision makers. Rosling discovered that chimpanzees are not smarter than educated humans, but that “actively wrong knowledge” make us score so poorly. He determined that people simply have a worldview that is outdated and yet persists. His book lists ten instincts that distort our perspective, one of which is in the way we consume media—where fear currently rules. “If it bleeds it leads,” was the mantra back when I studied journalism years ago. That notion is still relevant today as the news is primarily negative and therefore we rarely learn when things are improving or generally positive. This may also explain why so many Americans believe violent crime is higher than ever before when, in fact, though there’s been a slight uptick recently, on average it’s been dropping for the past 30 years. And fear is extremely powerful: it sells newspapers, encourages us to click on links, buy things we may not need, and elect politicians to high office. The state of journalism in the internet age is focused on being fast rather than accurate, on click-worthy and titillating rather than thoughtful and reflective, and on providing raw data rather than knowledgeable content. With so many pundits presenting alternative facts, politicians claiming fake news, and many media outlets providing opinion masquerading as news, we owe it to ourselves to be more careful and selective on what we choose to trust. In the workplace this requires challenging those assumptions we regularly rely upon to make big decisions. It means checking multiple sources before taking action. And it means scrutinizing from where and who is providing the information. In order to rise above the level of chimpanzees in our decision-making, we need to take greater responsibility and resist the impulse to take information as fact. We should question our assumptions and not be afraid to change those assumptions as needed. And we must be skeptical and cautious in order to make the right business decisions. Now that we’re nearing the half-way point in the year, how well are you keeping your New Year’s resolutions? Whether it be losing weight, exercising, learning a new skill, running a marathon, or whatever, it can be difficult to stay motivated. Perhaps you stopped because you lost interest, got distracted, couldn’t muster the willpower, or were simply waiting for some mystical motivating force to kick in. And it never came. There are many reasons we stop making progress in reaching our goals. Waiting for motivation to kick-in is one to eliminate. Motivation will not come about without you taking the first step and achieving success—no matter how small that success may be. The formula for achieving success with anything resides within your control. It won’t come from some outside force and it is unlikely to come with an “aha” moment unless you are already in the act of doing. Doing is an iterative process found in writing, designing, experimenting, building, prototyping, and this process is necessary in order to fuel the motivation to keep going. Jeff Haden, author of The Motivation Myth: How High Achievers Really Set Themselves Up to Win, says you don’t have to find the motivation or willpower: you do what you need to do because that’s who you are. Don’t look outside yourself for motivation; look within. And don’t wait for some mystical energy to intervene first, simply get started. Rather than waiting for the motivation to get you kick-started, you need to simply begin in order to achieve success—no matter how minimal that first success may be. Only through gaining a little success will it lead to the motivation you need to get started again. Success leads to motivation, which leads to more success and more motivation to more success and so on. This notion about motivation is just as important when you’re trying to learn something new. It takes deliberate practice, which requires focused attention and is conducted with the goal of improving performance. Begin and the motivation will follow. R: Reaching and Repeating – Practice should require you to operate at the edge of your abilities. True growth for anything is just beyond your comfort zone. And you have to consistently reach and constantly repeat. E: Engagement – Each practice must command your attention and make you feel emotionally invested in striving for a goal. Seek out little tweaks or little advances that you can build on to stay engaged and committed. P: Purposefulness – Your practice must directly connect to the skill you want to build. For example, if you’re uncomfortable speaking in front of large audiences, simply rehearsing over and over again won’t get you there like practicing in front of smaller groups. S: Strong, Speedy Feedback – The practice must provide an immediate and consistent flow of accurate information about performance. If you’re learning to play a song on the piano, try playing it slower than it is meant to be played in order to master phrasing and tonality. You’ll get faster and better understanding of whether you are mastering it or not. No matter where you are with your New Year’s resolutions or anything you are looking to accomplish, while the temptation is to wait for motivation to come calling, resist. Because it won’t. You are in control and you just need to begin. How do you start your day? It may very well determine whether you reach your goals. All of us currently have a morning routine and most of us follow it without questioning whether it is helping or hampering our efforts to reach our goals. Those who start each day with deliberate, disciplined and mindful practice could very well be more successful in life. So if you want to realize your dreams, perhaps it’s worth the effort to begin each day with the right physical regimen, mental discipline and emotional attitude. But what should it be? In a widely circulated video on social media, US Navy Admiral William H. McRaven says if you want to change the world, start off each day by making your bed. This little task provides you with the motivation throughout the day for accomplishing other tasks. And, even when your day doesn’t go so well, he says you will always have the satisfaction of at least going to sleep in a well-made bed. On this last one, Bradberry says research has shown that having concrete goals is directly correlated with huge increases in confidence and feelings of being in control. And it’s important that these goals are not vague, but specific to each day as it puts everything into motion. In these Morning Pages, Ferriss suggests responding to the following prompts: “I am grateful for . . . , What would make today great?, and Daily Affirmations: I am . . .“ In the evening, he suggests answering the following: “3 amazing things happened today and How could I have made today better?” This intentional practice can help you focus in the morning and reflect at the end of each day. Whether you are prepared to switch from coffee to lemon water or Titanium Tea is really beside the point. What’s vital is that you embrace the importance of your approach to each morning in order to facilitate just how productive you’ll be the rest of the day. And you can choose to embrace a discipline that will help you reach your goals. Perhaps the most fundamental aspect is to ensure you are getting a good night’s rest. This cannot be emphasized enough. If you are not getting enough sleep, you will not be motivated to stick to any routine and you will likely be depleted of the vital energy you need no matter how much caffeine you consume. The next should be a given: the most important meal of the day. You must fuel your body with appropriate nutrition to sustain your body until your next meal. You may protest that you don’t have time to prepare and eat a healthy breakfast, and therefore are able to rationalize that at least that Starbucks organic scone is much better than a Crispy Crème glazed donut. The reality is some foods will lift you up and sustain you while others only give you a quick dopamine hit and then leave you flat. Making the time for and choosing the healthier option is your choice. Though I don’t feel like exercising in the morning, I’m a strong believer that exercise needs to be routine in order for it to become a habit. Putting it first in the morning ensures it doesn’t get put off or neglected. And by getting your blood pumping in the morning, you will have the vital energy and positive attitude you need to be most productive throughout the day. Gentle yoga or meditation can provide a similar boost without the physical exhilaration you find with a more rigorous workout. This could be simply acknowledging what you are truly grateful for at this particular time. Rather than rushing into organizing your brain around your responsibilities and tasks for the day, take the time to acknowledge and, if at all possible, express your gratitude to those to whom you are grateful. Then contemplate how you would approach this day if you knew it was the last day of your life. How can you live more deliberately and mindfully? When you first wake up you set the tone for how you will approach the day. The more this becomes a positive routine, the more likely you are to maintain it. You may not feel the full effects of it for weeks, but eventually you will begin to notice that your body feels better and your overall disposition is working in your favor rather than against you. And it may be as simple as making your bed. Boilerplate copy on resumes typically include the phrase “excellent communication skills.” But how many people really have them? Communication is so often thought of as speaking and writing well. While these are certainly important, it is not only the clear dissemination of thoughts and ideas, but also the receptivity and complete understanding of other people’s thoughts and ideas. Excellent communication skills include the ability to listen really well, and leaders need to do this is order to be successful. In a previous post, I wrote about the importance of connective listening. In their book Real Influence: Persuade Without Pushing and Gain Without Giving In, authors Mark Goulston and John Ullmen describe this as listening with the intention to fully understand the speaker and strengthen the connection. Connective listening is about listening from their there instead of your here. Listening is a lot more than hearing the words that are spoken. Body language, tone of voice, inflection and other factors can either amplify, distract or totally contradict the words that are spoken and this needs to be incorporated into effective listening. To become an excellent listener means being able to go to different levels in order to fully understand. In their book Own the Room: Discover Your Signature Voice to Master Your Leadership Presence, authors Amy Jen Su and Muriel Maignan Wilkins write that in order to improve the ability to listen and engage, a leader needs to master three levels of listening: surface, issues-based and emotions-based. This is listening to hear what is actually being said and taking the words at face value. You do this by making eye contact, nodding your head, and repeating back what you hear. The speaker is then confident that you are following along and engaged in a way that enables the effective transfer of thoughts and ideas. This is the ability to focus intentionally on what really matters. Rather than listening only to the basic facts, you are looking for the underlying message. Reading between the lines, so to speak. This may require asking clarifying questions to get the speaker to expand his or her thinking and say more. The underlying issues are what you are seeking to fully understand. This is the deepest level of listening that enables you to uncover the real agenda at play. Leaders who listen at this level are able to sense the underlying emotions and motivation behind the issues. They listen to the nonverbal cues, such as the speaker’s body language, tone of voice, and overall mood. You discover the assumptions the speaker is making. Once you understand what’s going on under the surface, you are then able to name and acknowledge it. You can paraphrase what you hear and perhaps add what you sense the speaker is feeling as well. This type of listening requires you to be objective, open and curious. It takes a great deal of effort to be this present. And it takes the courage to name and say aloud the emotions being felt. Each of these levels is essential for leaders to be effective listeners. The important thing is to practice each so that you can deploy the appropriate level when the situation requires it. With social media’s focus on “selfies,” “likes” and “followers,” your leadership will stand out if you are able to make the most of interpersonal one-on-one, real-time communications. 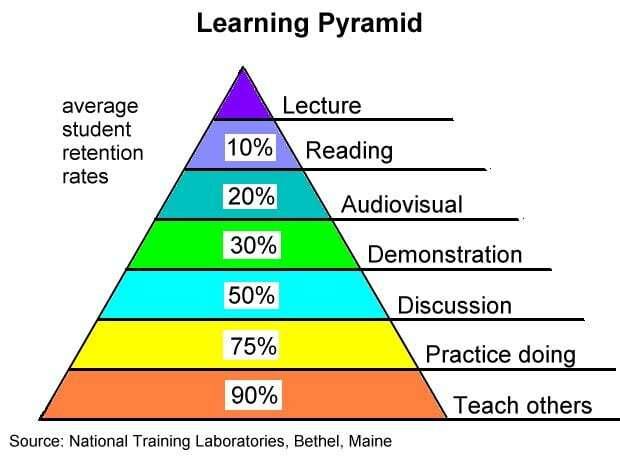 This means truly engaging by listening more effectively using these three levels. With the Millennial Generation now representing nearly 45% of the U.S. workforce, it’s clear we are experiencing a huge cultural shift. And while these younger workers may report to other Millennials, Generation Xers or Baby Boomers, there are certain protocols they should consider as they navigate their careers. The Baby Boomer generation was largely responsible for launching the technological age we now take for granted. This required that Boomers continually adapted to change in order to stay relevant as the workplace became more technologically mechanized. Millennials, on the other hand, don’t know life without computers and the Internet. But that doesn’t mean they don’t also need to continually adapt to change. In fact, it may be that their generation has experienced and will continue to experience more and more rapid change than those who preceded them. Adapting to change should ultimately be seen as a way of being. This is not only true with regard to technological skills, but also business processes and the skills of interpersonal relationships, leadership development, and other soft skills. Lifelong learning requires maintaining curiosity and a beginner’s mind. With that, I offer a few thoughts on what may be helpful to Millennials as they navigate the workplace not only with outgoing Baby Boomers, but also Generation Xers and their fellow Millennials. Communicating effectively requires choosing the appropriate medium and using the correct message. Don’t assume that an emoji-ridden text message will be appropriate when in fact a face-to-face conversation is necessary. And a true conversation requires listening as well as speaking. It demands your full attention to be most effective. While everyone lists “excellent communication skills” on the resume, very few people are truly excellent at it. Make it a practice to continually hone your ability to write, speak and listen effectively. Unlike previous generations, Millennials have been taught from early on to work and learn in groups. Collaboration is especially valuable in today’s workplace because most of the work is completed by groups of people. These groups are also more diverse and your ability to get along with your coworkers will determine how effective the group is at accomplishing its goals. This will require shared respect, trust, and effective communication. Make it a practice to continually learn how to navigate these relationships effectively. The modern workplace requires more self-reliance and therefore it’s important for you to take responsibility for your career. Accept that no one is going to determine your success or failure more than you are. While you will likely always have a boss, it is up to you to determine the level of direction and support you need in order to succeed at what you do. You need to take responsibility for continually communicating this to your boss. And understand that though you may be used to and feel you require constant feedback for how you’re doing, that may not be a priority or general practice of your boss. Be accountable for what you need to do your job and to advance your career. Finally, as I’ve learned in my nearly 40 years of work, it is vitally important to stay authentic and live your values. There may be a time when you will need to make a change because where you work or what you do comes in conflict with who you are. Life is short and therefore you should do whatever you need to do to align who you are with what you do. And remember: Love people and use things. Because the opposite never works. The result of the recent presidential election means Donald Trump will become leader of the United States of America. However, I don’t recall him ever previously referred to as a business leader or any kind of leader for that matter. While he is reportedly a successful businessman, he has absolutely no governing experience. Ironically, this was seen as an enormous strength rather than a weakness in this election. But business acumen doesn’t naturally translate into effective governing. The leader of the United States of America obviously cannot conduct himself like the CEO of a company. It is a unique leadership position that requires working collaboratively with others to protect and serve the citizens of the country. And our Founding Fathers ensured that the three branches of government provided the necessary checks and balances to keep a tyrant or dictator from taking over our democracy. In a previous blog post I pointed out that Trump has demonstrated leadership qualities such as confidence, tenacity and negotiating skills. However, effective leaders also need to demonstrate integrity, humility, and the ability to inspire and motivate people. His performance in the presidential campaign provided few examples of integrity and humility. His ability to inspire and motivate people certainly contributed to his success in bringing to the polls the disenfranchised voters who felt largely ignored by both parties. Yet it was his divisiveness that also brought out the worst in them rather than the best. Though Trump can accomplish certain things without the help of Congress through Executive Actions, these can be easily overturned by his successor. This is exactly what he intends to do with many of President Obama’s Executive Actions. And this is no sustainable way to govern. Important legislation can only be enacted with the help of Congress. And this requires collaboration. Though President Trump will have an easier time with an all-Republican Congress, he will no doubt face a great deal of opposition with many of the proposals he campaigned on from both Democrats and Republicans. To be a successful President, he will need to collaborate with others rather than try to command and control them. He will need to learn the ability to compromise: to give a little in order to gain a little. Now that we are politically more divided as a country than ever before, this requires even greater collaboration skills. It comes down to taking into account the importance of the tasks equally with the relationships. No one person in Washington will be able to accomplish big things without strong alliances with willing participants. And this requires the ability to collaborate successfully. In their book Collaborative Leadership: How to succeed in an interconnected world, David Archer and Alex Cameron identified 10 key lessons for a successful collaborative leader. 10. Continually develop your interpersonal skills, in particular: empathy, patience, tenacity, holding difficult conversations, and coalition building. These lessons are just as important in running a country as they are in running a business. Reading over this list, I can’t help but think that many of these lessons do not necessarily come to mind with regard to Trump’s reputation as a businessman. If Donald Trump hopes to make progress on his campaign promises, he will need to find a way to collaborate effectively with the House and Senate. Finally, leadership is not something one can be appointed to or elected to as it is something to be earned. True leaders are those who gain respect through their overall effectiveness combined with the way they lead their people. It is certainly about getting results, but it is also about the relationships that are inherently necessary in reaching those results. And those relationships require effective collaboration. We live at a time when employee engagement is especially low. Employees are dissatisfied, discouraged and disinclined to be optimally productive. This is bad for both employers and employees. According to Gallop’s 2012 State of the American Workplace, 70% of American workers said they feel they are not engaged at work. This comes at a time when competitive pressures and the technological rate of change are ever increasing. Engaged employees are those who work with passion and feel a connection to the work and their company. They have a positive relationship with the people they work around and to the work itself. They are also vastly more productive than those who are not engaged. Disengaged employees may show up to work, but they lack the enthusiasm and energy necessary to thrive. Disengaged employees are pervasive yet most are not actively disengaged, which can be especially harmful to an organization. Nevertheless, it is this lack of engagement that really hinders organizations. It also impacts the ability for employees to thrive. And without thriving employees, organizations can’t bring about the innovation and creative problem solving required to be competitive in the 21st century. The solution is for employers to provide an environment suitable to engage employees and for employees to do their part to be engaged. This second part is just as important as no amount of incentives will raise engagement without the employee’s own involvement. While it is possible to find and hire employees who are naturally inclined to thrive regardless of where they work, the workplace environment can certainly accelerate or hinder this. Gretchen Spreitzer and Christine Porat along with their research partners at the Ross School of Business’s Center for Positive Organizational Scholarship found that thriving employees are those who are not just satisfied and productive, but also engaged in creating the future—the company’s and their own. In their research regarding what enables sustainable individual and organizational performance, they found that thriving employees were 32% more committed to their organization and 46% more satisfied with their jobs. Not surprising, these employees were also less likely to miss work. In order for employees to thrive, Spreitzer and Porat identified two components: vitality and learning. Vitality is the sense of being passionate and excited, which can spark energy in themselves and those around them. Learning is in the growth that comes from gaining new knowledge and skills, such as developing expertise in a certain area. It’s the combination of the two components that is required because learning without vitality can result in burnout, and vitality without learning leads to work that is too repetitious and boring. It is also the partnership of the employer and employee to be actively involved. To encourage vitality, employers should provide an environment that generates a sense that what employees do for them really makes a difference. Employees should seek out organizations for whom they can get passionate and excited about as well as put forth the effort to actively participate. Vitality cannot come from outside the individual because it is intrinsic and, although it can be supported by the opportunities inside the organization, it must bubble up from within the individual employee. With regard to learning, employers need to provide opportunities for employees to obtain new knowledge and skills. And employees need to maintain a growth mindset and choose to continue learning while on the job. No amount of teaching will lead to learning without a willing student who is ready and interested in gaining new knowledge. This makes sense as these mechanisms are necessary for employees to feel empowered, knowledgeable, comfortable and self-aware. And organizations can either encourage or discourage these mechanisms. To encourage them, they need to be more than HR policies or corporate value statements because it is a part of the corporate culture. To fully embrace these four mechanisms means everyone in the organization needs to adhere to them and they need to be reinforced each and every day. A thriving workplace is one where both organizations and their employees take responsibility. This partnership is mutually beneficial. Organizations can attract and retain top talent while increasing profitability, and employees are more satisfied, encouraged, and inclined to be optimally productive. A thriving workplace is a win-win. How do you size up a leader? Do you choose and accept him or her based on the perspective of your particular newsfeed? Or do you assess a leader based on who your friends and family respect? Does it depend on the size of the company or organization, or on the particular political party affiliation he or she happens to represent? Each year Fortune magazine chooses the World’s 50 Greatest Leaders and this is different than your typical list. You won’t find Bill Gates, Donald Trump or Hillary Clinton on it. Instead you’ll see names like Christiana Figueres, Pope Francis, Aung San Suu Kyi and John Legend. On the other hand, Amazon CEO Jeff Bezos comes up as number one on this as well as many other such lists. Well-known leaders such as Tim Cook, Angela Merkel, Nick Saban and Marc Benioff are also included. There are many reasons why we follow someone, but it seems that some type of benchmark would be helpful: a litmus test if you will for whether or not you will choose to admire, work for or vote for a particular person. We live at a time when many of our business leaders are more focused on creating shareholder value than treating employees and customers respectfully. And while middle income workers’ wages have stagnated during the past 20 years, corporate boards continue to reward CEOs with salaries often 300 times the average of the rank and file worker. The media continually refers to our government representatives as “leaders,” yet clearly most are not demonstrating leadership. And when congress (members of the U.S. House of Representatives and U.S. Senate combined) has only a 14 percent approval rating yet 95 percent of incumbents are re-elected, we the people are clearly not living up to our side of the responsibility of democracy. Think of the business or political leaders you most admire and for whom your respect has lasted over the years. These may be folks such as Herb Kelleher, Eleanor Roosevelt, Jack Welch, etc. What leadership qualities do they possess that have sustained your loyalty? Now think of newer leaders you have recently chosen to follow. This could include Howard Schultz, Barack Obama, Sheryl Sandberg, etc. Do they possess similar leadership qualities or have you allowed your standards to be somewhat compromised? Is their leadership likely to stand up over time? Is there alignment with my own values? This seems like it should be the very baseline for whether or not I can willfully follow anyone. Does he or she make me feel safe? Author Simon Sinek suggests this is a vitally important factor in whether someone can lead others effectively. All of these are important when I consider whether a so-called leader is worthy of my respect and willingness to follow, work for or vote for. So often knowledge and skills are linked together as a single unit. And while there is certainly a strong link between what we know and what we can do, these terms need to be uncoupled in order to better understand them. The knowledge we acquire is a direct result of our learning through school, reading books and trade journals, attending training programs and seminars, etc. Staying on top of the latest research and thinking in our professional domain is vital to becoming and remaining successful. Skills are what we are able to do with this knowledge, yet it doesn’t necessarily follow from our knowledge acquisition alone. Theory and practice are different: just witness fresh college graduates joining the workforce. But it’s not only in newcomers where this shows up since skills, like knowledge, need to be continually developed in order for each of us to stay current. So how do you learn and improve your skills? Is it wrapped up in training programs promoted as “skills training,” yet delivered for the most part as knowledge transfer? When looking at how employees are trained, there is often a tendency to focus on knowledge rather than skills. The primary reason is tradition and convenience, and because it is much easier to present knowledge to a large group of people rather than set up conditions under which these people can develop skills through practice. The amount of money companies spend on training is often a good barometer of economic activity— when companies are growing, they increase spending on training; when they are slowing down, they cut back. Training is the most discretionary of all corporate spending. And the larger the company, the more likely it is to invest in training and development. In 2012, according to the Association for Talent Development (formerly ASTD), US companies spent more than $164 billion on training and development. And according to the “2014 Corporate Learning Factbook,” US spending on corporate training grew by 15% over the previous year—the highest growth rate in the previous seven years. This increase in spending on training is not only associated with growing economic activity, but also due to a skills gap. In fact, more than 70% of surveyed organizations stated this “capabilities gap” is one of their top five challenges. While knowledge can be fed into the brain to be stored and retrieved as necessary, skills need to be immediately practiced in order for them to be truly learned and retained. Today there is far too little effective skills training in the corporate world. Programs and classes that are experiential where students actively practice a skill as a way to truly learn it. A particular skill is demonstrated by the instructor, then immediately practiced by students where they can be corrected as necessary. This can be done outside of the workplace where students can first gain competence along with confidence. Useful for improving public speaking or presentation skills, for example. Executive Coaching is an excellent way to uncover issues or concerns, educate why they are ineffective, and then help change behavior through practicing new skills in the workplace environment. Beginning with the coach’s suggestions on alternative approaches, the client can then try out new behaviors in the workplace. Through reflection and direct feedback with corrections and/or modifications, the client can further refine practice of the new skill. Especially useful for improving communication, conflict negotiation, and increasing overall executive presence. In their book Peak: Secrets from the New Science of Expertise, authors Anders Ericsson and Robert Pool discuss what they call “deliberate practice” where the focus is solely on performance and how to improve it. Whether it’s to become a grandmaster chess champion, a concert violinist, a professional golfer or a successful business leader, quality skill development won’t be found in a book, online seminar, or traditional training course. It will come through this deliberate practice. In the same way learning to play the piano requires music theory, it also requires continually putting fingers on the keyboard in order to enable muscle memory, among other things. We have to stop thinking that simply hearing, reading, or watching something will enable us to learn or improve a skill. Skill development requires going beyond knowing to actually doing. It requires deliberate, focused attention that stretches us just beyond where we’re comfortable. It demands continual monitoring and adjustments. And the motivation to keep you continually moving forward. How often do you struggle to get people to buy what you’re selling? I’m not suggesting you are a sales person, per se. However, all of us are selling something whether it’s seeking the boss’s permission to proceed on a project, persuading a co-worker to do something in a particular way, convincing your spouse to vacation in a certain location, or cajoling the kids to do their homework and clean their rooms. This form of persuasion takes place in each of our lives every single day, and some of us are more successful at it than others. In this age of message bombardment, it’s important to recognize that people selectively tune out the noise in order to hear what’s important to them. Because they are inundated with both wanted and unwanted to information, they fortify themselves to listen selectively. So given this resistance, how do you get your message across? The secret to getting through to anyone is by having them buy in. This occurs only when you are able to get people to stop “resisting” to “listening” to “considering” what you are saying. “Ironically, the key to gaining ‘buy-in’ and then moving people through the rest of the cycle is not what you tell them, but what you get them to tell you—and what happens in their minds in the process,” says Goulston. As the title to his book implies, listening is a huge part of successfully persuading others. And effective listening requires seeking to understand before being understood as Stephen R. Covey described in his seminal book The 7 Habits of Highly Effective People. It also requires hearing what is unspoken yet conveyed through tone of voice, eye contact and other body language. This requires you to be curious, and using all of your senses to truly tune into the other person. Getting people to reveal their resistance involves not only listening, but asking the right questions. No matter how many facts and details you share about your perspective, until you ask the right questions to uncover resistance you will fall on deaf ears. And learning to ask good questions is perhaps the most important leadership tool you can master. You can also help persuade others by exercising your empathy muscle to make the other person feel heard. The gift of being heard is all too rare and goes a long way towards successfully connecting with other people. When they feel heard, they are much more willing to open up and reveal what’s most important to them. Though most of us will say we are good listeners, the reality is we are not. If we are truly honest with ourselves, we will admit that instead of actively listening, we are distracted or thinking about what to say next. This is counterproductive to moving through the Persuasion Cycle. If you really want to enhance your ability to persuade others to buy what you’re selling, follow the steps in the Persuasion Cycle and improve your ability to truly listen. One of the biggest reasons for stress is the inability to find balance in our lives. Perhaps the focus on seeking work-life balance frustrates many of us because the equation is all wrong. Work is not simply one thing. It may be intellectually stimulating, but may not provide any physical stimulation and in fact may be counterproductive to good health. Or your job may be physically exhilarating, but not provide any emotional satisfaction. Perhaps it does satisfy your heart, but it doesn’t lift your spirit. It’s clear that work and life are no longer separate the way they used to be and this undoubtedly adds to our stress. However, there are ways we can find balance and reduce the stress. Let’s first acknowledge that work is an integral part of life, and the more you try to separate it from family life, the more frustrated you may become. There are also four component parts in each of us: body, mind, heart and spirit. Each of them are equally important and, for balance, should be fully integrated in our lives—both in work and separate from work. Body – This is your health and well-being nourished through physical activities that bring you energy and vitality. It includes the fuel you ingest to stay fit and healthy, and the rest you get to be at your best. Mind – This is the mental and intellectual stimulation you need to keep you engaged. For many, this is where you are focused while at work, but perhaps not entirely. You may also have or should have hobbies and other pursuits to keep you cognitively stimulated away from work, which may ultimately result in you being more engaged while at work. Heart – This includes the people and activities where you experience the highs of love and joy as well as the lows of sadness and despair. It is our emotional selves that are every bit as present at work as they are everywhere else in life—only some may want to deny this. Every relationship, both at work and away, requires that our emotional selves to be present. Spirit – The spirt is perhaps the least tangible and understood of the four as it can be the people, activities, groups, communities, religious practices, time in nature, meditation or many other things that put you in touch with something greater than yourself. It is no less valuable than the other three and requires our attention. Each of these components is important in order to find balance and reduce stress. In fact, if you feel stress in your life right now, it is likely that one of these areas is being neglected. Figuring out which it is and then filling it will help. So, you may be saying I don’t have time for the body or spirit. My life is too busy to workout, eat right or get enough sleep. Oddly enough, perhaps you do make time to binge watch Netflix while eating fast food late into the night. And you may say the spirit part might be important, but you’d rather watch sports than go to church, volunteer at a food bank or take a walk in nature. That’s certainly your choice, but it’s not that you don’t have time. You don’t make time. We have always had 24 hours in each day, but the advent of electricity enabled us to stay awake much later resulting in a reduction in the amount of rest we get. The invention of the TV enabled us to passively watch instead of actively read reducing our intellectual stimulation. And the availability of email and social media reduced our actual face-to-face interaction, which cut back on opportunities to connect more deeply and emotionally. Rather than seeking more waking hours in the day, rethink how you spend them. If you find your spirit bucket is the one that is empty, making time for a quiet 30-minute walk by yourself can help. You may complain that this is not “productive” and therefore you run instead. But this is counterproductive. While it may help fill your body bucket, your spirit bucket will remain depleted. Spirit is probably the part that is most difficult to quantify and easiest to ignore, and maybe it becomes more important the older you get. Whether you are young or old, your ability to nurture the spirit will enable you to become more calm and centered to handle stress. The body needs exercise, the right fuel and plenty of rest in order to function properly. We can’t innovate and imagine if our brains aren’t stimulated by what interests us. The opportunity to regularly connect deeply with other people at a heartfelt level is equally important. And our ability to unplug and be alone with our thoughts is vital to the soul. To achieve work-life balance, seek to nurture the four component parts of your being. When these are equally tended to, you will find balance both at work and in life. The current tenor of the Republican presidential campaign has got me thinking about the lack of compassion expressed by our so-called leaders. It wasn’t that long ago when George W. Bush campaigned using the phrase “compassionate conservatism,” though you might argue he never really governed that way. For some reason the term compassion has become divisive and reserved for discussion of those who have fallen through the safety net and only the “truly needy.” It’s as if compassion should be conveyed only as a last resort and for a small minority of us. The fact is we all need compassion at some time and we should all feel compassion for others when they need it. “Compassion is not weakness, and concern for the unfortunate is not socialism,” said Hubert H. Humphrey. I hope we haven’t gotten to the point where there’s no room for compassion in our capitalism. Whether in politics or business, leaders who demonstrate compassion are more likely to connect with and gain lasting followers. Feeling compassion in the workplace means staying in touch with your own feelings as well as those of others, which can result in more accurately understanding and navigating all your workplace relationships. Compassion is a leadership trait that should be demonstrated by leaders at every level within an organization. That’s because research has shown that those who experience compassion in the workplace feel more positive emotions and are more committed to the organization. When bad news is delivered compassionately, workers are more likely to remain supportive of the organization. And when you act with compassion at work, you can increase your satisfaction and lower your overall stress. Compassionate leaders put people before procedures, they courageously say what they feel, and they lead with sincere and heartfelt consideration for others. Perhaps the most important tool of compassion is empathy, which is the ability to understand what someone else experiences and reflect that understanding back to them. Empathy is also a vital component of what it means to be emotionally intelligent. According to Brené Brown, Ph.D., author of Rising Strong, the prerequisite for real empathy is compassion. You can’t respond to someone empathetically unless you are willing to be present to their pain, which requires compassion. But don’t confuse empathy for sympathy. As Brown further explains, when someone says, “I feel sorry for you” or “That must be terrible,” they are standing at a safe distance. Rather than conveying the powerful “me too” of empathy, sympathy communicates “not me,” and then adds, “But I do feel for you.” This does not have nearly the impact empathy provides. For you to demonstrate empathy inside an organization, you must have the foundation of compassion. Being compassionate doesn’t mean taking on and solving other people’s problems. Nor does it mean you have to agree with the actions that got the individual into a particular situation. And being compassionate doesn’t mean you don’t hold the individual accountable. What compassion does mean is noticing another person’s suffering, connecting with him or her both cognitively and emotionally, and then responding in a caring and proactive fashion. You can be compassionate by agreeing to disagree, yet still hold the person accountable. In this way your compassion helps the individual, the organization and yourself. I’d like to think we’re seeing an increase in compassionate business leaders who sincerely value the welfare of their employees, customers and surrounding community. This kind of leadership will lead to more engaged employees, satisfied customers, a healthier community and ultimately greater shareholder return. In my work as a leadership coach I regularly encounter senior managers and directors who desire to become leaders, but many fail to understand that the leap is much more than a title, salary and corner office. Leadership isn’t so much appointed as it is earned through your management track record and, perhaps just as importantly, the soft skills you demonstrate. Soft skills include the ability to communicate clearly and effectively, inspire people to deliver their best, organizational savvy, courage to make hard decisions, and the ability to admit you don’t have all the answers. This last one means demonstrating humility and often runs counter to what we expect in our leaders. None of us have all the answers and the strongest leaders are those who not only acknowledge this to themselves, but demonstrate it to others. As much as we may be seeking a single person to have all the answers and take care of everything, the reality is no one person can do this. However, we live in a culture that presents it that way. Think about sports and how despite the need for total team effort, the media presents Payton Manning and the Denver Broncos or Cam Newton and the Carolina Panthers. NBA match-ups are promoted as LeBron James and the Cavaliers versus Stephen Curry and the Golden State Warriors. Taking nothing away from the leadership these talented athletes demonstrate, we discount and denigrate the efforts of those around them who contribute to victories. We give too much credit to the individual athletes when they succeed and lay on too much blame when they fail. In the more serious arena of politics, this lack of humility and the leader’s inability to rely upon others can be much more troubling. When a leader claims he or she has all the answers, beware because this can mean a lack of self-awareness, extreme egotism, narcissism and will likely lead to destructive and even catastrophic decisions. Despite no experience in domestic or foreign policy, Trump is essentially saying we should take him on faith. He says he’s smart and he can figure it out. In this bizarre political season, vetting potential leaders of the free world should demand more than this. In the corporate setting, those leading from a cool and professional distance are unable to make sound decisions because, like all of us, they have blind spots and areas where they are simply deficient. When these leaders refuse to ask for help they risk alienating their people and make bad decisions. The difficulty with asking for help is because it is emotionally risky and may expose our uncertainty. This is, however, the exact vulnerability necessary for us to fully connect with others. Without the courage to risk opening up and being seen, there can be no connection. Just the other day I spoke with a leader who described the most powerful and important day in his career. It was at an off-site where they were discussing the importance of trust. When it was brought up that there was a trust problem in the organization, he invited feedback as to whether he was someone who could be trusted. The answer came back negative. Without becoming defensive, he asked for examples of why this was the case, and in front of the entire group he listened with an open mind and open heart. He invited follow up conversations with each of the individuals who spoke up in order to learn from them and to express his perspective. Later he came to find not only did these individual relationships improve, but so did trust, his satisfaction at work and his overall growth as a leader, culminating with a promotion. The ability to courageously expose our vulnerability and ask for help is the very thing that builds our leadership capacity. Demonstrating humility that runs counter to the image we’re trying to live up to facilitates an important connection to those we want as followers. Expecting leaders to be anything other than emotionally vulnerable and imperfect human beings is detrimental to our institutions and our very livelihood. Instead, let leaders risk exposing their ignorance in order to raise their competence and connection with those we want them to lead. Happy Employee Appreciation Day! It’s now the third month of the new year and if you have not yet recognized the impact and value of your employees, do something about it today. This annual holiday—celebrated the first Friday in March—is meant to remind companies to thank employees for their hard work and effort throughout the year. It is also meant to strengthen the bond between employer and employee. Perhaps we need Employee Appreciation Day now more than ever because a recent survey found that 40 percent of employees say they had not been recognized at all in the past year. Recognizing employees is probably the most important step in raising employee engagement because it makes them feel more proud and happy with their jobs. This is according to a new survey conducted by Globoforce last November. The survey, composed of 828 randomly-selected fully employed persons in the United States (aged 18 or older), had a margin of error of +/- 3.9 percentage points at a 95 percent level of confidence. They also found that two-thirds of workers who were recognized in the last month felt more than twice as engaged at work than those employees who had not been recognized. This strong correlation between high engagement and recognition means employees who are well-recognized have more drive and determination, better working relationships, improved personal standing and stronger connections to their company. As I wrote about previously, organizations should give thanks to their employees through a well designed, fully implemented and on-going social recognition program. It’s good for engagement, retention and the bottom-line. And while cash or gift cards are easy and generally appreciated at least in the short term, they don’t deliver the more important long term results. You can show appreciation to employees in many ways, but be sure it is sincerely presented and meaningful to the individual. Rather than simply “great job on that report,” you might say, for example, “I really appreciate that you included the metrics on XYZ in order to emphasize the impact our products will have on the client’s account.” The more you can tie your praise directly to the individual’s specific contribution, the more impact your appreciation will have. Perhaps our most precious commodity today is time. When possible, give your employee the gift of taking off the afternoon, a day, or several days to pursue a hobby, spend time with loved ones, or simply to rest and recharge. Don’t relegate showing appreciation only to the boss. With apps like YouEarnedIt, Bonusly or TINYpulse, you can enable all employees to regularly provide kudos to each other in real time. This will create a more positive and healthy workplace where everyone participates in providing and receiving appreciation. Sometimes it is not the tangible reward that makes us feel appreciated, but the simple verbal or written expression of thanks. And if you tell someone how much you appreciate them, you will likely find that you feel better having done so. That’s because showing gratitude acts like a hug: in the same way you can’t hug someone without receiving a hug in return, expressing gratitude works similarly. Feelings associated with gratitude impact the dopamine in your brain, which functions as a reward neurotransmitter. Like a drug, experiencing gratitude results in a dopamine hit that makes you feel better. This gratitude creates positive feelings, good memories, higher self-esteem, and a more relaxed and optimistic mindset. When taken together, these emotions can then create a “pay it forward” and “we’re all in this together” mentality throughout the workplace. Gratitude makes people feel appreciated, it doesn’t cost anything, and it doesn’t require any special training to implement. All it takes is sincerity and a willingness to show appreciation to others. Showing appreciation and gratitude for employees creates a better working environment, promotes more engagement and delivers better bottom-line results. The largest generation in the U.S. workforce today is composed of people born after 1980, and they represent Generation Y or Millennials. These 54 million workers are often called digital natives because they do not know of a world without computers and the Internet. And while they may not fully appreciate that FAX machines and interoffice memos were once essential, it’s important to see the value of their unique perspectives and contributions. Millennials were educated working in groups and therefore may be more accepting and effective in work teams than others. They are likely to be more technically savvy and connected. And while they may want regular feedback acknowledging their contribution, they also want to be challenged in the work they do. Previously I wrote about Millennials as Managers with regard to how these younger workers show up as leaders and how they can best manage others. In this post, I’d like to address how those of older generations can best manage Millennials. The generations are roughly sorted as: Traditionalists (1927-1945), Baby Boomers (1946-1963), Generation X (1964-1979) and Millennials (1980-1999). The values and work ethic of each can vary immensely, and this impacts how to best manage them. One methodology for managing will not necessarily work for an entire generation of people, of course. Workers are individuals and a method that works for one person, won’t necessarily work for another—even if they happen to be born within a similar timeframe. Nevertheless, there are some common characteristics Millennials may share due to the timeframe in which they were raised, and it is therefore useful to consider how this shared perspective may require managing them differently than those who were born earlier. Autonomous Work-life fusion – It’s about getting work done; not punching a clock to satisfy office processes. Entitled Reward – Being recognized and rewarded for their contribution; Millennials want more than just an opportunity. They want a guarantee their performance will count for something. Imaginative Self-expression – Offering a fresh perspective that they want to be heard and their ideas taken into consideration. 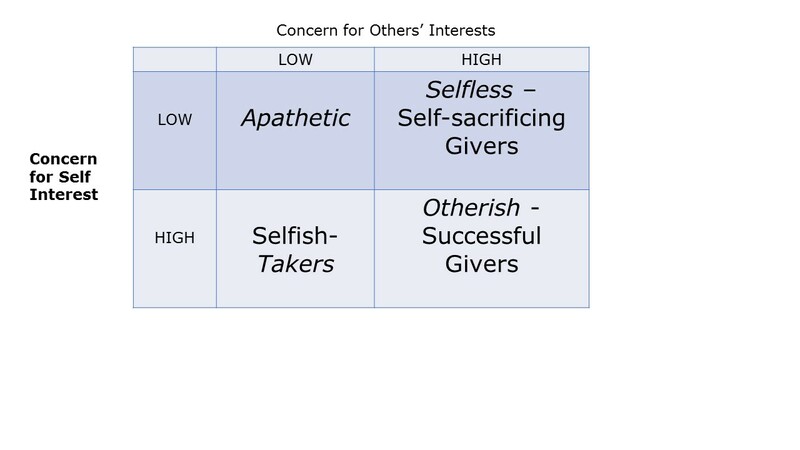 Self-absorbed Attention – In search of trust, encouragement and praise for how they individually are contributing to the whole of the group. Defensive Achievement – They are more interested in how to focus on building their strengths than having their weaknesses pointed out. Abrasive Informality – Though their behavior may be interpreted as disrespectful, their casual communication style is simply how they grew up learning to express themselves. Myopic Simplicity – They may see their own individual task as essential without fully appreciating other tasks around it. Unfocused Multitasking – If they have always juggled several tasks at a time, they may find it difficult to really appreciate the benefit of full focused attention on one thing at a time. Indifferent Meaning – They can’t care about their contribution unless they know the meaning behind it. This difference between a manager’s perception and the Millennial worker’s intrinsic values can lead to a great deal of conflict unless the manager is aware of it. This doesn’t mean managers should abdicate all responsibility from workers because they hold these intrinsic values. Instead, they could seek to find mutual understanding in the difference. Ideally, this would take place in the normal course of working together and not held off until that dreaded and often detrimental annual performance review. By then, it is often too late. Authors Espinoza, Ukleja and Rusch further outlined nine managerial competencies that can be essential to managing Millennials effectively. These competencies may both reduce tension and create an environment in which both the manager and the employee can thrive. None of these are necessarily revolutionary nor would they be less useful when managing Gen Xers or Boomers. However, it is important to consider that the Millennial worker may be especially predisposed to function at a higher level when working in an environment where these competencies are demonstrated by those who manage them. And managers who seek to fully appreciate their workers’ unique perspectives will find a way to engage them and bring out their best. Can a narcissist be a good leader? This is the question that comes up for me when I contemplate the possibility of a President Trump. The Mayo Clinic defines narcissistic personality disorder as “a mental disorder in which people have an inflated sense of their own importance, a deep need for admiration and a lack of empathy for others.” Characteristics include arrogance, dominance and hostility. According to psychologist and Harvard professor Howard Gardener, Donald Trump is a “textbook” narcissist. And while healthy narcissism can be valuable in leaders, unhealthy narcissism can be extremely destructive. However, Franklin D. Roosevelt, Winston Churchill, John F. Kennedy and Bill Clinton all displayed many healthy narcissistic qualities while in power. These healthy narcissistic qualities include: self confidence that is in line with reality, a genuine concern for others and their ideas, and the ability to follow through on plans based on their values. Conversely, unhealthy narcissistic qualities include: self-confidence that is grandiose, devaluing and exploiting others without remorse, and an inability to follow a consistent path because it is not grounded in values. Healthy and productive narcissists can be visionaries with creative strategies, who are able to find meaning in the challenges of a changing world. Narcissists are not only risk takers, but also charmers who can convert the masses with their rhetoric. Sigmund Freud named narcissism after the mythical figure Narcissus, who died because of his pathological preoccupation with himself. Freud said that narcissists are emotionally isolated and highly distrustful. They are typically overly sensitive to criticism, poor listeners and—though emotionally clever—they tend towards exploitation rather than empathy. Narcissists can turn unproductive when, due to their lack of self-awareness and restraint, they become unrealistic dreamers, says Maccoby. They nurture grand schemes and harbor the illusion where only circumstances or enemies are blocking their success. They listen only for the kind of information they are seeking. They don’t learn from others, nor do they like to teach. Instead, they indoctrinate others and make speeches. Rather than search for the best solutions among others, they dominate meetings with their own agenda. Paradoxically, they are extraordinarily sensitive yet they avoid emotions. And in this age of teamwork and collaboration, the narcissistic leader is emotionally isolated. Many narcissistic leaders become more confident as they increase the number of followers, and very often this leads to flagrant risk-taking, which inevitably results in their downfall. See Bill Clinton with Monica Lewinsky. For the narcissistic CEO, Maccoby recommends three ways to avoid the traps of their own personality. Let’s look at these and how they might apply to Trump in a governing setting. Find a trusted sidekick. This is someone who can keep the narcissist grounded. Don Quixote had Sancho Panza just as Bill Gates had Steve Ballmer. Would Donald Trump choose a Vice President or Chief of Staff who could provide adequate counsel to avoid disaster? I have not yet heard or read that he has such a person at his side now. Indoctrinate the organization. The narcissistic leader wants all subordinates to think the way he or she thinks. Jack Welch had a personal ideology he indoctrinated into GE managers through speeches, memos and confrontations. Rather than create a dialogue, he made pronouncements. Donald Trump may have great difficulty doing this given the divisiveness of a divided congress, not to mention the need for diplomacy on the world stage. Get into analysis. Though a narcissistic leader is more interested in controlling others than in knowing and disciplining him or herself, this could prove especially useful to uncover and correct vital character flaws. The best narcissistic corporate leaders will do this to become more self-aware and learn humility. Donald Trump, like any politician, would likely hide this even if he were courageous enough to take it on. Perhaps what at least partially explains Donald Trump’s current lead in the polls is that he has convinced many Republican voters that they should be very afraid because these are chaotic times. Fearful chaotic times are when narcissists most often thrive. Whether in a corporate or government setting, healthy productive narcissistic leaders can go a long way towards rallying support needed in order to bring about sustainable change and progress. It typically requires gaining some self-awareness and becoming more grounded. However, unhealthy unproductive narcissistic leaders in either setting can bring about greater divisiveness, reckless planning and execution, and a total lack of concern for others. This type of narcissistic leader would prove detrimental to any company or country. Success in business today requires many things. Perhaps most importantly, organizations need to embrace learning. And both the employer and the employee have responsibilities in this learning. Employers should do what they can to engage employees and keep them intrinsically motivated to learn. And this learning must include the ability to be implemented otherwise it undermines the employee’s motivation as well as limits organizational improvement. At the same time, employees should adopt a growth mindset so they continually achieve and learn as they navigate their careers. This means taking on new challenges, expanding their skills, and broadening their area of expertise. It also means challenging the status quo. Bob discovers the new product his company is launching has a fatal flaw that may undermine its success in the marketplace. He double-checks his research and concludes it is correct. His company however discourages naysayers and, despite his certainty, Bob is concerned that speaking up will be detrimental to his career. He stays silent, the product flops, yet Bob’s career growth is preserved. Nancy discovers the new project her company is rolling out will miss its target completion date. She double-checks her research and concludes it is correct. Because she works for a learning organization that encourages direct feedback, Nancy presents her findings, the project is given additional resources to complete on time, and it is a resounding success. Nancy is rewarded with a promotion and celebrated throughout the company. Which company do you work for? Are you Bob or are you Nancy? Organizations should encourage employees to challenge assumptions, speak directly about the “elephant in the room,” and take calculated risks when it’s right for the business. This theory must go beyond mere words in an employee handbook and extend into actual practice for how things get done inside the organization. On his way to inventing the light bulb, Thomas Edison reportedly said, “I have not failed. I’ve just found 10,000 ways that won’t work.” That is a healthy perspective on reaching success and how learning is paramount. The best companies perform a post-mortem on projects and products with the purpose of pointing out and learning from what went well and not so well. Too often, however, the lessons of what went wrong are not adequately documented and communicated, so the missteps are likely repeated. Economists too often see people as highly rational in their decision-making and don’t take into account the irrationality of human beings, says Richard Thaler, professor of behavioral science and economics at the University of Chicago Booth School of Business in his book Misbehaving: The Making of Behavioral Economics. Here are some basic lessons in behavioral science Thaler suggests can make this possible in the corporate world. Observe, collect data and speak up. Observe – This means seeing the world not as you wish it be, but as it really is. The first step to overturning conventional wisdom, when conventional wisdom is wrong, is to look at the world around you as it is. Collect Data – People become overconfident because they never bother to document their past track record of wrong predictions, and then make things worse by falling victim to confirmation bias—they look only for evidence that confirms their preconceived hypotheses. The only protection against overconfidence is to systematically collect data, especially data that can prove you wrong. This is what proves especially difficult because we are so devoted to our hypothesis. Speak Up – Many organizational errors could be prevented if someone is willing to tell the boss something is wrong. Thaler cites the tragic 1977 runway crash of a KLM flight because the second officer was too timid to speak up to the pilot, his boss. Culture, professional courtesy, and most of all fear keep people from challenging the boss, even when they know the boss is wrong. In Thaler’s ideal organizational environment, everyone is encouraged to observe, collect data, and speak up. And the bosses who create such environments risk only a few bruises to their egos, which is a small price to pay for increasing the flow of new ideas and decreasing the risk of disasters. It comes down to more humility in leaders and more courage in employees. When both are present, organizations can learn from their experiences and become more successful. And organizations should encourage more Nancys and fewer Bobs.